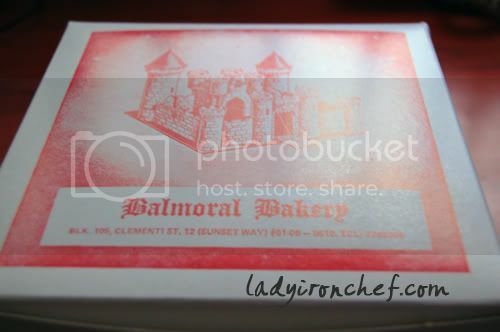 Balmoral Bakery is a very old-school bakery which is evident from the box they use for their bakes. Located at Sunset way, the bakery offers the type of breads and pastries which we grow up together with, but sadly are slowly disappearing from our sight. Under the “undue” influence of my secret food partner, we jogged from our place to Sunset way, and pay the bakery a visit. She introduced me to Balmoral Bakery as she has been munching on their breads since young. 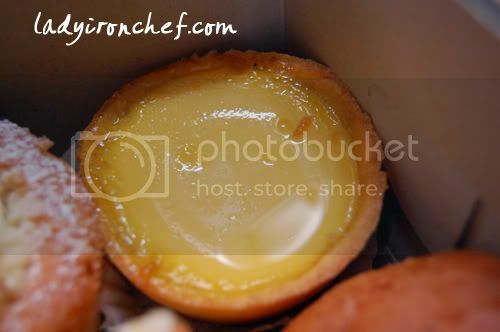 The egg tart at Balmoral is those ‘watery’ type, my secret food partner love this type of egg tart, but i prefer those with crusty sides and firmer egg-fillings. The custard buns are the star of the show! Billed as Balmoral Bakery’s signature item, the custard buns are really excellent! There are other customers who brought half a dozen or more at a go. Must try!! 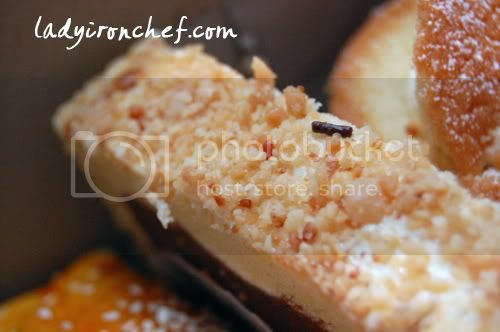 The cake is the very traditional type where you can only get at such bakeries, nowadays seldom do we still see such cakes around, well maybe if your neighbor still has such old-school bakeries around. The char-siew sau is cripsy and the char siew inside sweet! I liked this one! 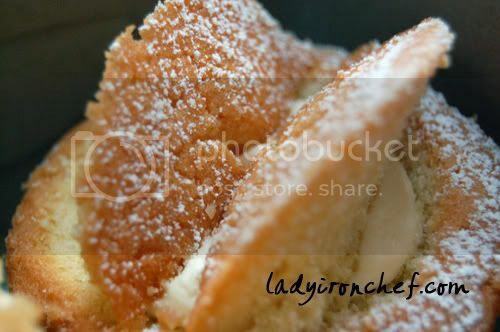 The cake is very soft and fluffy, whipped cream in the center, and sugar white powder spread on top. Total Bill for 5 items comes up to $5.50. I only brought 5 items as this is my first time there, but my secret food partner brought about more than 10 items! The bread and pastries at Balmoral Bakery are mostly in the range of $0.80-$1.50, and there are really a lot of different types of traditional bakes which isn’t so commonly found nowadays. Go, and relieve your childhood memories! wahz.. this is very memorable…. zns last blog post..Potato Salad Attempt! Hi Brad! 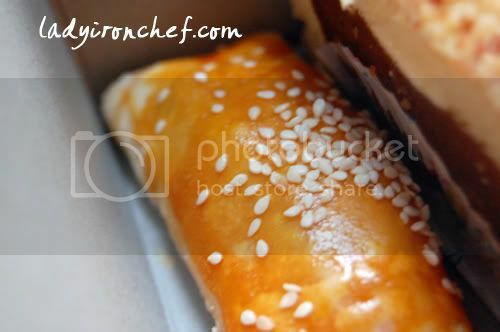 yep..i totally love their beef curry puffs and traditional marble cakes! they are tres tres bien! must try next time orite! Hello Evan: Yeah i did try their curry puffs, i eat it on the way back thats why i didn’t take any photos of it. lol! Hello zn: Yep, you shld try if u got pass by sunset way! Hello Leen: No problem you can go there anytime? haha! Oh! 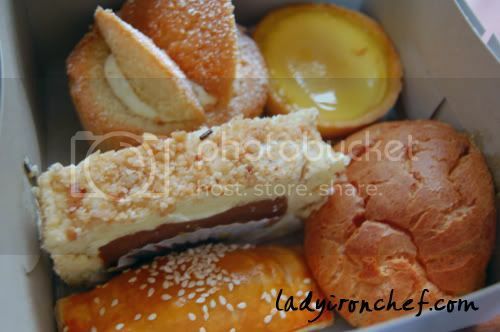 they have the best custard puffs i’ve ever came across! Hello bee: yeah i love their custard puffs too! 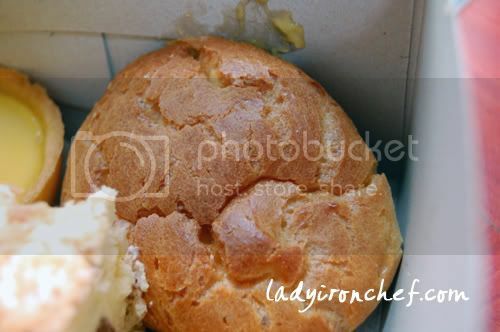 Pingback: Review: Balmoral Bakery « ? ?bsolutjoiz™ is ?bsolut-ly lost in her joi-ful world ? Hi, the tel nos. shd be 6779 2064 instead.